I mentioned it a couple of weeks ago, but now the time has come! Tomorrow is the start of Advent. This is a season that has come to mean so much more to me than it did when I was a child. 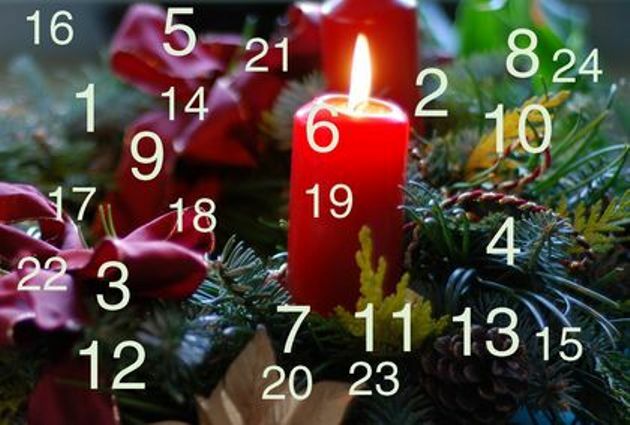 If I ever really "observed" Advent in the past, it was in the form of a wall calendar, or a novelty that gave me a piece of chocolate each day. Maybe part of it is that as we grow older, we learn that the anticipation of a thing can often be as good as or better than the thing itself. But it's more than just anticipation. It's expectation. Expectant waiting, and the chance to prepare yourself to usher in joy. My preparation will be through service. Here's the project I've set for myself again this year: each day of Advent, I will do one hour of service for somebody else. An hour each day, times twenty-four days, and it adds up to an entire day of service by Christmas morning. If there's a day when I can't do an hour of service, I'll make a donation of one hour of my pay instead. I've tried to avoid too many repeats, but there were a few places where I volunteered last year that I enjoyed so much I'm going to visit them again. As of this writing, my calendar is filling up nicely, but I still have the few days right before Christmas open. Everybody's schedule gets full right before Christmas, so it's a little harder to find places that can work with you. If you are in a position to help me line up an hour of service with an organization you're involved with, please leave a comment or send me a message! If you remember last year's Project Advent, I added another part to each day's entry, too. A lot of folks post something that they're thankful for each day of November, but I did it during Advent instead. Pastor Craig gave a sermon a few weeks ago that made me want to do something similar, but a little different, this time. He spoke about I Corinthians 16:15-20, and about how Paul knew the value of encouraging and affirming the members of the church. He urged us to choose people around us to do the same thing for. I'm not entirely sure yet about what shape I'm going to have this take, but each day I'm going to take the opportunity to thank somebody in my life. Anticipation. Expectation. Joy. Indeed! I'm FINALLY getting to sit down and catch up on "Look What Danny Made! Project Advent II." I'm so excited. And... WE'RE OFF!